Thousands of songwriters are using “The Essential Secrets of Songwriting” 6-eBook Bundle to improve their songwriting technique. Find out why: Learn more..
Every songwriter, no matter how disciplined they are, will go through periods of time where new songwriting ideas are hard to come by. It many not be writer’s block, per se, but simply those times when life gets very busy and it’s hard to feel creative. One great idea for keeping the writing flowing is to consider reworking public domain folk songs or classical music into something of your own. 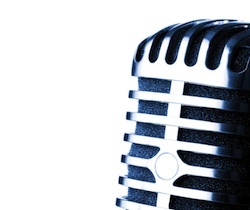 Songs in the public domain are not protected by copyright. Generally, these are songs that were written long ago enough that the copyright has expired. In the case of folk songs, many of them were written centuries ago, where the original authorship is unknown. If you read music, every library has collections of folk songs that you can dig through to find songs that you can use. If you don’t read music, it’s archival recordings you should be looking for, and again, libraries are a great source. Take the lyric and write a new melody. Paul McCartney did this with his song “Golden Slumbers” on the Abbey Road album. Use the song as-is, and create a contemporary arrangement that gives it new life. Take the melody and play it backwards, looking for interesting shapes and ideas. You’ll be surprised when you discover that many musical cells can work nicely in both directions. Take an original melody and invert it. For example, if the song you find starts with a rising scale, try recreating the song by using a falling scale. You may have to adjust the chords to make it work. About.com’s list of free public domain music. 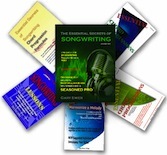 Download “The Essential Secrets of Songwriting” 6-eBook Bundle: $95.70 $37.00 (and get a copy of “From Amateur to Ace: Writing Songs Like a Pro“ FREE.) High-quality PDF files, readable on desktop, laptop, iPad, iPod, or any other PDF-reading device. Posted in songwriting and tagged folk music, folk songs, Golden Slumbers, material, public domain, songwriter, songwriting.